A great novel is a window to the world. And a great novelist? A person who knows how to walk you to that window, throw open the curtains and show off the magnificent view. As anyone with a passion for reading fiction can tell you, that’s exactly what happens when you disappear into a real page-turner. This year Long Island LitFest, an organization aimed at connecting authors and readers, is betting that it can also occur when you meet a great novelist in person. Given the qualified pair of authors slated for its upcoming festivities, chances are you’ll get a great return on investment if you take its advice: put down the book, disconnect from all gadgets and connect with an author. A celebrated author, that is. But LitFest is expanding its event calendar, including two author’s nights this fall. As producer Claudia Gryvatz Copquin put it, the organization is looking to “bring stellar authors to Long Island book lovers, so they don’t have to go into New York City for quality programs. We kicked off with a bang in 2015 and haven’t let up.” Wally Lamb, author of I’ll Take You There, will appear at the Madison Theater at Molloy College in Rockville Centre on Wednesday, Nov 30. A week later, on Dec 7, it will be the turn of Alice Hoffman, author of Faithful, to take the Madison stage. Both nights will include an author’s talk, audience Q&A and book signing. “Our motivation is to connect readers with their favorite writers by creating these exciting events,” Copquin said. “We also support authors by providing a new platform for them to showcase their works. We support bookstores, as all of our events include book sales.” Both events are sponsored by local bookstores and each ticket includes a copy of the author’s latest work. Lamb, author of four New York Times best-selling novels, began writing fiction in the midst of his 25-year career as an English teacher at his old high school, the Norwich Free Academy in Connecticut. A fistful of bestsellers later, he continues to teach, including a post as associate professor at the University of Connecticut, where he directed the English Department’s creative writing program. A good novel, Lamb argues, is an opportunity for both author and reader to go beyond the limitations of their minds, to grow. “That comes from my life as a teacher. Whether you teach kids or adults, what you hope is that you can encourage lifetime learning.” A great deal of Alice Hoffman’s learning came while growing up in Valley Stream. Maybe that’s why the celebrated author of 23 novels—one of which was made into a major motion picture starring Sandra Bullock and Nicole Kidman— often sets her stories on Long Island. Don’t be surprised to find some familiar scenes in Faithful like Route 110 and Book Revue in Huntington and Green Acres Mall in Valley Stream. The soul-searching story is about a young woman struggling to redefine herself and the power of love, family and fate. Faithful, also out in November, tells the tale of Shelby Richmond, an otherwise ordinary Long Island girl who experiences an extraordinary tragedy that changes her life completely. Her best friend’s future is ruined, while Shelby walks away bearing only the burden of guilt. Magic. Love. Characters you can fall in love with. Characters whose stories inspire or challenge. 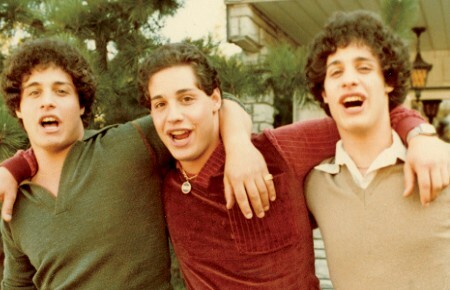 They’re why we keep turning the page and keep picking up our next read. And they’re all for the taking at the upcoming Long Island LitFest events. It’s the kind of offer that’s hard for a lover of books to refuse. Any basic claim to literacy in Long Island lit would include an A-list of works that need no introduction: The Great Gatsby, The Godfather or Walt Whitman’s Leaves of Grass. 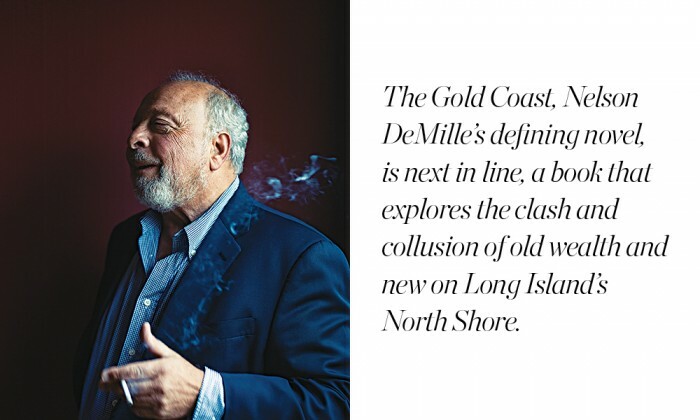 The Gold Coast, Nelson DeMille’s defining novel, is next in line, a book that explores the clash and collusion of old wealth and new on Long Island’s North Shore. DeMille turns over the rocks like an ebullient boy at low tide, discovering delicious admixtures of wealth, corruption, excess and ennui. Want more? Try The Sea Lions by James Fenimore Cooper (1849), a tale of lost sealers, polar adventurers, set in a whaling community near Sag Harbor. Or Christopher Morley’s New York—essays about Manhattan in the 20s. 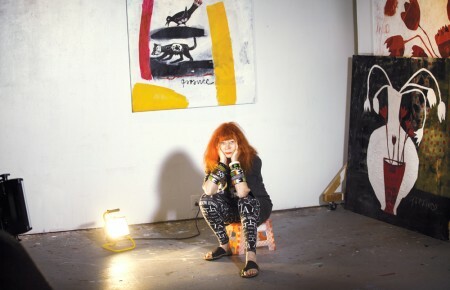 It has an entire section devoted to the author’s life in Roslyn, which he considered a respite and natural retreat from the fast paced “vulgar beauty” of New York City. Travels with Charley by John Steinbeck, starts out in a houseboat in Sag Harbor during Hurricane Donna in 1960. Pietro di Donato’s Christ in Concrete is one of the great early works of immigrant lit. Written by the Northport resident to expose the conditions of Italian-American laborers, it rivaled The Grapes of Wrath in popularity and importance when published in 1939.